Just want the FREE interval timer? Skip to the bottom and get started! 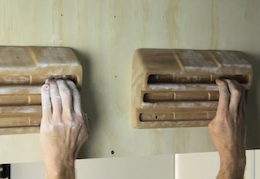 When it comes to finger strength exercises for climbing, there are a lot of different programs around the place. 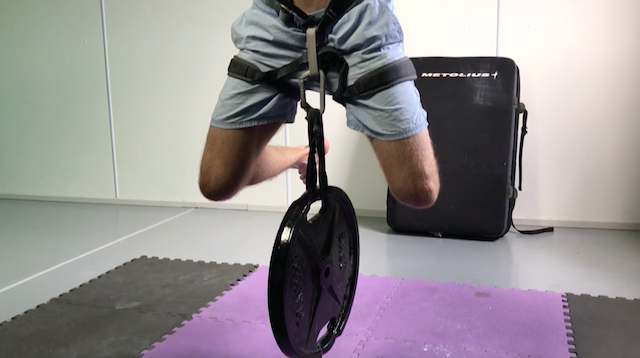 The most common of these incorporate a repeater training protocol, where the hang/rest ratio is relatively short and the grips trained are relatively extensive. A good example of this is the Anderson brothers hangboard training program, which has obviously been very effective for a number of people. That particular program will help develop some strength, but the main focus is strength-endurance. So what does a program that incorporates these features this look like? 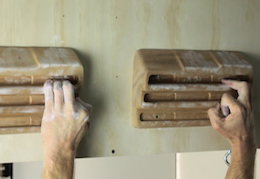 Hangboarding is a great finger strength exercise for climbing, but it can be a dangerous business for beginners. Get this wrong and you will be sidelined with a finger injury for far longer than you would like. Always warm up properly before starting a hangboard routine and get plenty of rest between sessions. Each cycle should last 5 weeks and it is a good idea to take a 1-week break between each (the total program length is therefore 17 weeks). 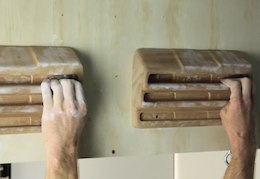 You should aim to complete 2-3 session per week depending on the amount of additional climbing, or other training you are doing (you want to be fresh when you do this in order to get the most out of the hangboard exercise and prevent injury). If back three feels tweaky, just stick to open and half crimp, or add your choice of grip. As usual, the protocol is pretty simple; complete 5 x 10 second hangs with a three-minute break between each hang, and a five-minute break between each grip style. The free interval timer we’ve provided below can be used for both the max-weight and minimum edge cycles. The maximum weight cycle is ideally completed on an 18mm edge, with enough weight to make you fail after 13 seconds. This means you should get close, but never fail during your training (10 seconds) hangs. Dedicate a session to working out what this weight is by adding it slowly and hanging for the full 13 seconds. A climbing harness clipped to a sling holding weight plates or kettlebells is an easy way to do this. The minimum edge cycle is similar (just don’t add any weight); simply pick the smallest edge you can hold for 13 seconds. The board we’ve used here is the Concept climbing ‘Edge’ board, which is perfect for this routine as it has evenly spaced holds ranging from 38mm to 6mm. Test your maximum-weight after the first 4 weeks and increase this as required, once you get to around ¾ bodyweight drop down to a slightly smaller edge so the weight doesn’t get ridiculous! Try to change your minimum-edge after each cycle if you can, but only if you can hold it for 13 seconds (remember, you don’t want to fail during your hangs). You can add weight to increase difficulty and assist progression if you find yourself between edge depths. 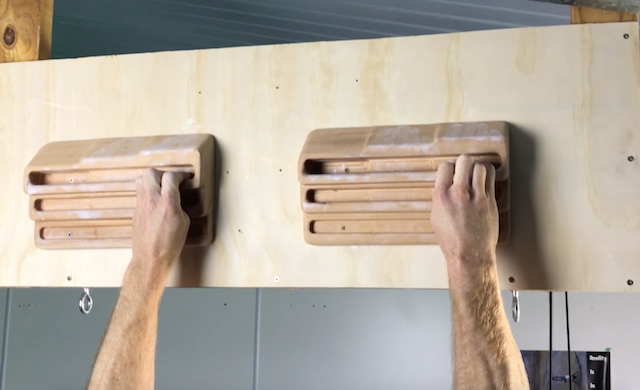 You can cycle through this hangboard program throughout the year and even switch grip types based on grips you need to develop for that new project you have. Keep track of your progress and reflect on your success when you retest at the start of each new cycle. Remember, train hard and climb smart!